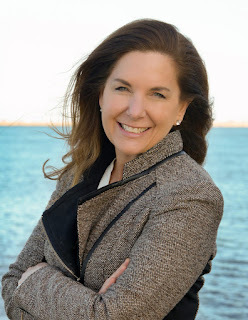 Sea, Sand & Sky: CHV Boston Harbor Boat Tour! This summer we took Camp Harborview out on Boston Harbor to enjoy the water and sights of different islands and towns. Once again we went out on the Fredrick Nolan chartered by the Boston Harbor Cruises. An amazing boat with big windows and an open top deck perfect for sight seeing and experiencing what the harbor has to offer. 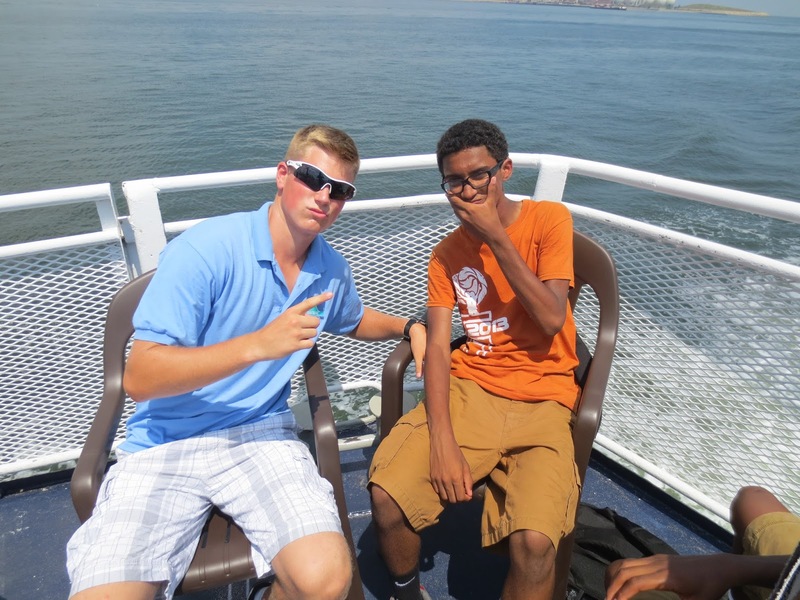 Some of the kids have never been on a boat before and others have never been able to take a tour of Boston Harbor. Many kids got to do things that haven't done and learned things about the harbor that they did not know. 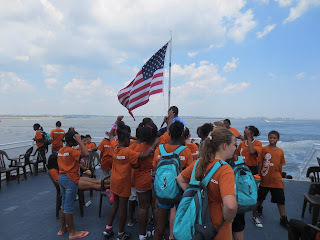 We divided the camp into two groups so that there was enough space on the boat for everyone to walk around and get a good experience the Fredrick Nolan. 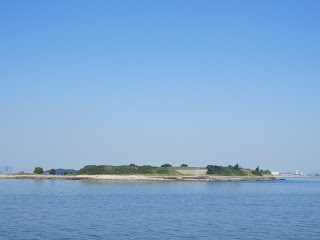 On both trips we went out to Boston Light, then to Castle Island and back to Long Island where CHV is located. The kids learned that Boston Light is the oldest lighthouse in America and the light at the top of the house goes around in 10 seconds. Also, they learned about the island that surround camp that they see everyday. 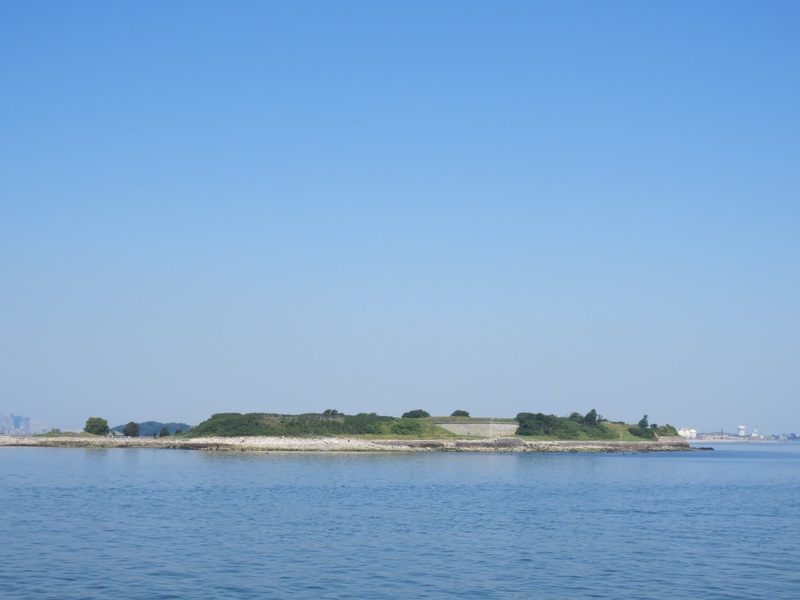 Some of the surrounding islands are Spectacle, Deer, Georges and Thompson. 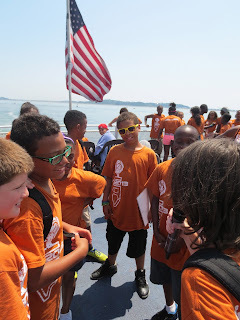 Every camper got off the boat knowing something about Boston Harbor that they did not when the first got on the boat. On the way back into camp on both trips we opened up the microphone to the campers so that they could showcase their talents and give shout outs to their friends. This was definitely a point on the trip that the kids really enjoyed. I realized that many CHV campers are talented because there were rap performances and singing performances that were very good. 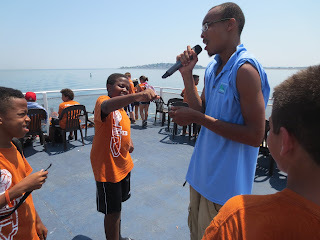 Some of the campers shocked people on the boat when they stepped up on the mic and performed. One performance that I will not forget was a group a girls that sang a popular Frank Ocean song called "Thinking About You." Those girls had everyone captivated when they sang and many people said that they did a great job.